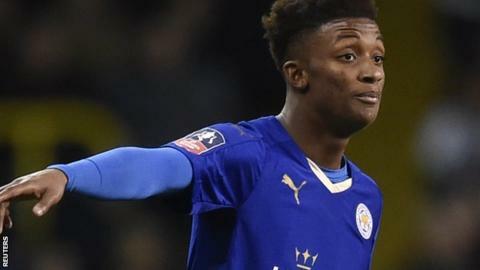 Leicester manager Claudio Ranieri says he does not plan to make any more signings in January following the capture of winger Demarai Gray. The Foxes are second in the Premier League and chasing Champions League qualification, trailing leaders Arsenal by only two points. Gray signed from Birmingham for £3.7m and made his debut in Sunday's 2-2 FA Cup third-round draw at Tottenham. But the Italian manager, 64, said: "The transfer market is finished for us." "I am only interested in my players and no-one goes away," he added. Ranieri said he wanted to build "step by step", adding: "Now this is a crazy league and we fight to achieve the maximum. "There are three, four or five teams ahead of us. They are building and then slowly we arrive."